"Sisters of mercy" – so called in the 19th century assistants physicians directly involved with treatment and patient care. Later established another name – a nurse, just a nurse. There is a similar definition of male – nurse, but for a number of reasons women go into this profession often. The word "mercy" disappeared from the name of a profession, but the concept remains its essence. Not everyone is available. People intending to choose the profession of nurse or nurse, must have a certain psychological makeup. The main requirement of the profession – patience, self-control. The nurse works with people, each of which has its own character, not always pleasant. Besides, these people are in traumatic situation caused by the disease, making it more difficult to communicate with them. The nurse has no right to raise the voice of the patient, even if it is not behaving quite correctly. It should always be restrained. The nurse should be able to keep a secret. In some cases, it is unacceptable to tell the patient the truth about his condition. Especially it is impossible to discuss with colleagues or other patients, one of patients reported about themselves in a confidential conversation. It is possible to tell only his attending physician, if the information is relevant to disease and treatment. From nurses requires an exceptional sense of duty, discipline and attention to personal hygiene. The person who does not have at least one of these qualities, it is not necessary to choose the profession of nurse or nurse. 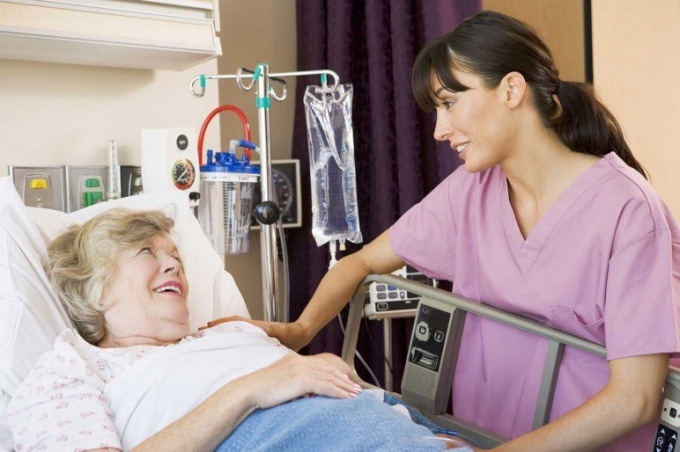 To become a nurse, you must obtain secondary education in the specialty "Nursing". If a person goes to College on the basis of basic secondary education (9 years of secondary school), duration of training is 3 years and 10 months, on the basis of complete secondary education – 3 years and 10 months. Applicants admitted to the College on the basis of 9 classes, take exams in biology and chemistry. Form exams can be different, determined by the College, but most often it is a test that contains questions from the curriculum according to academic disciplines. In addition, the applicant must submit the results of the GIA in chemistry, biology and Russian language. The entrants on the basis of 11 classes that present the results of the exam on the same subjects and also pass an exam in biology and chemistry, but through the course of the senior classes. Upon completion of training, graduates should know the names and purpose of medications, basic concepts of medical psychology and professional ethics, have training in biology, physics, chemistry, anatomy, botany, to be able to do injections and other medical procedures.